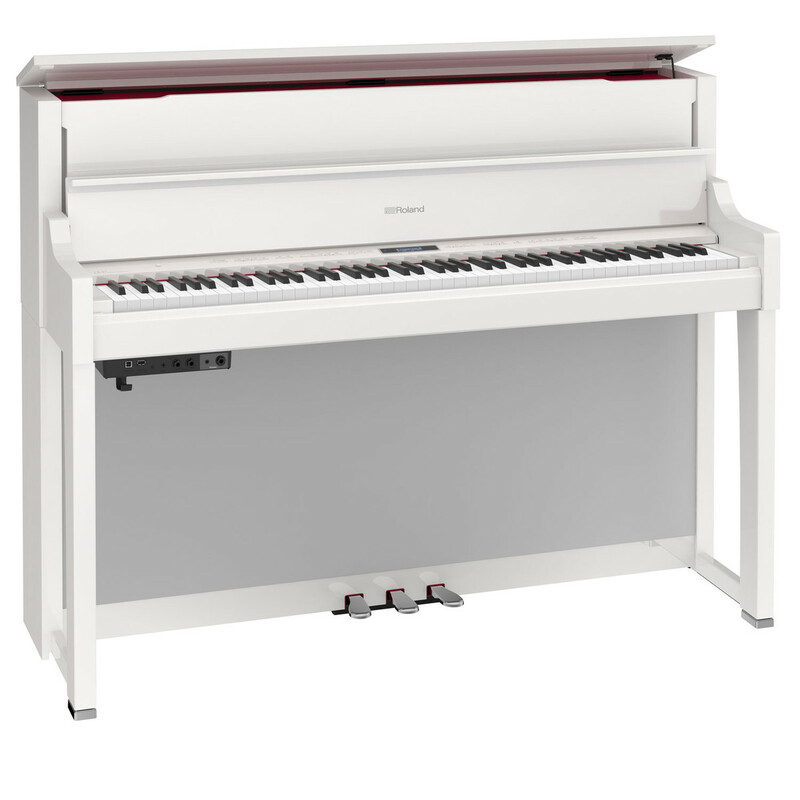 The Roland LX17 Digital Piano is a sophisticated instrument designed to play and feel with exceptional accuracy. The LX17 features Roland's SuperNATURAL sound engine to produce a rich tone that actively responds to your playing style. The wooden keys evoke the elegant playing and aesthetics of an acoustic piano. The eight Acoustic Projection speakers create an immersive sound, projecting each note with clarity and realistic tone. The Bluetooth compatibility lets you integrate the Piascore iPad app with the LX17 for an interactive playing and learning experience. 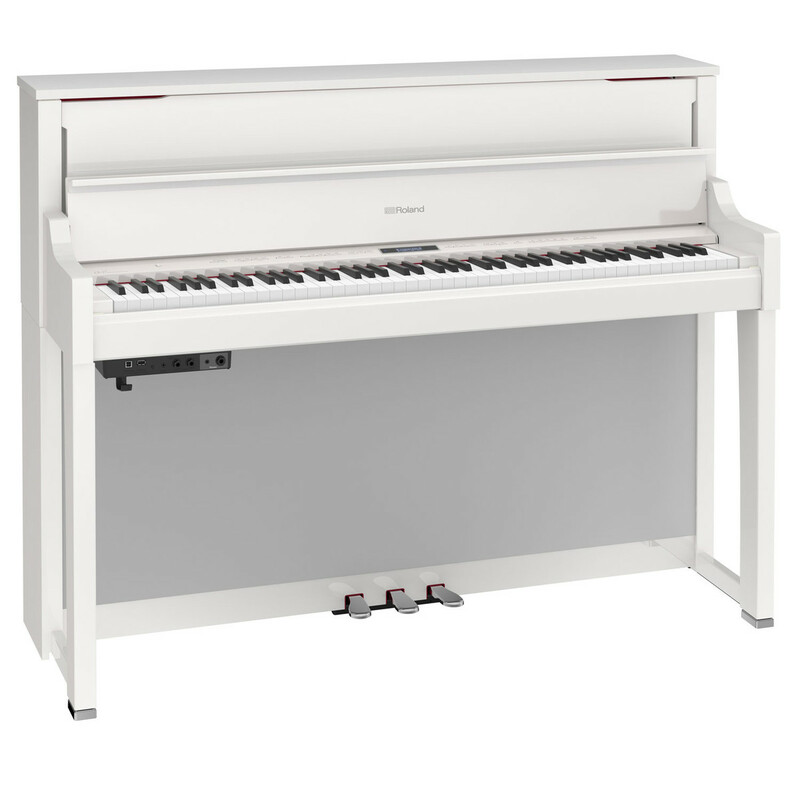 The Roland LX17 has an adjustable lid, polished white finish and grand upright shape to provide a stunning visual aesthetic. The LX17 uses Roland's SuperNATURAL piano modelling technology to recreate acoustic piano sounds. Rather than replaying a sample recording, the modelling technology takes into account the entire sound creation process of an acoustic piano. Along with a wide combination of variants, SuperNATURAL technology incorporates additional resonance that an acoustic piano would provide and how the different elements would interact with each other. The result of using this technology is an increased level of responsiveness and a rich sound with complex overtones that is not achievable from using piano samples. The LX17 houses a three-way, eight-speaker system, driven by a powerful four-channel amplifier. Each section fulfils a specific role in delivering superior piano tone, producing an authentic grand piano sound. The powerful cabinet speakers provide the all-enveloping main piano sound, while the top-mounted spatial speakers reproduce the resonance of the piano's frame. Finally, the nearfield speakers project the sounds most likely to be noticed by the player, including dramatic, dynamic overtones and hammer noises as they hit the piano string. The increased height of the cabinet further enhances the tonality of the sound. Each key on the LX17 has a stabilising pin which allows for a more precise and smooth vertical movement, whilst reducing any sideways movement which can occur when playing glissandos. The LX17 also has a key sensing system which ensures that the sound engine and keys work responsively with each other to create an expressive playing experience. The keys are designed to have the same look and feel of ebony and ivory and have moisture-absorbing properties to increase comfort.